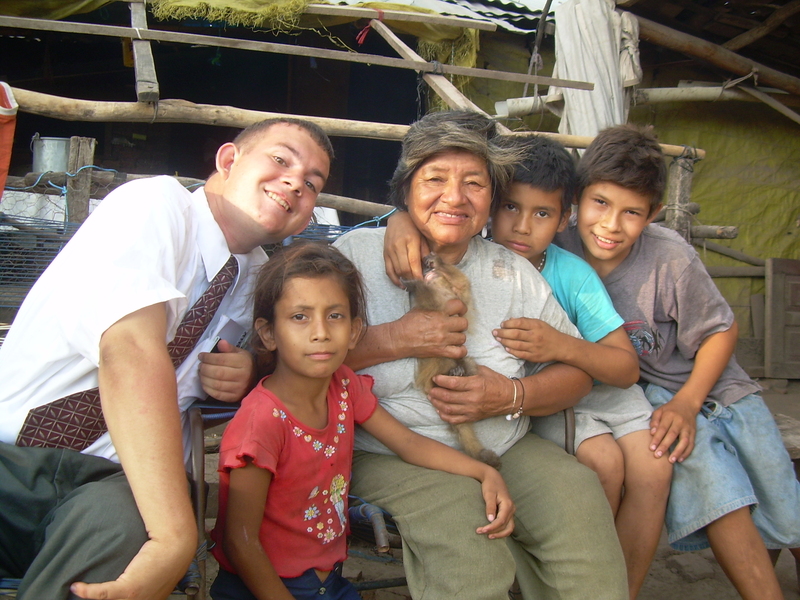 While living in Peru and Bolivia for 2 years as a church missionary I realized how fortunate I was to be able to live in healthy conditions and receive the education I did. I remember teaching a family who had a 13 year old son who was not enrolled in school for that year. When I asked why, I was shocked by the answer I was given; they did not have enough money at the beginning of the school year to purchase the notebooks and pencils required by the school! Over the course of the rest of my mission I discovered that this was not an uncommon problem for many families living in these third world countries. Imagine a child’s education being postponed a full year, just because their family cannot afford five 100-page notebooks and a couple of pens and pencils. From that moment I had the desire to create an organization which would enable children to continue their educations no matter what their circumstances are. The San Juan Project will strive to help families overcome the educational costs of their children in order to help them receive a good education without crippling their family financially. 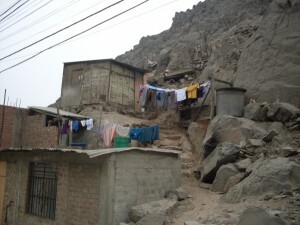 Next, while I lived in Peru, I lived in the most populous district of Lima called San Juan de Lurigancho. 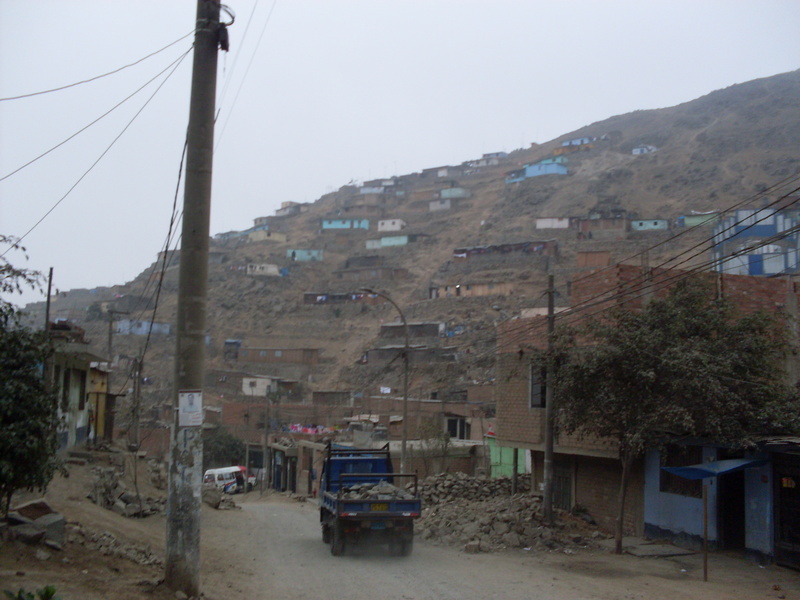 This district is the fastest growing district in Lima, due to the fact that families will move from outer provinices to find work in Lima. San Juan de Lurigancho allows what is called “Invasions,” which are similar to the way the West was started in the 1800s. Families will plot out their own lots on hills and register it to be their own. These families live in horrible living conditions, many without any form of plumbing, but are happy because they feel blessed that they have property to call their own. Many of the houses which they build are built out of plywood so thin that it is more commonly referred to as cardboard by those who see them. When it sprinkles everything in the house gets wet. Due to these living conditions it is very common for children to become sick frequently. The second goal of the San Juan Project is to help families have adequate living conditions through the reconstruction of their houses. While we realize that poverty exist everywhere, we also realize that every contribution makes a difference. The San Juan Project will begin by concentrating on where the original ideas began (in Peru and Bolivia) and will continue to grow to impact more countries.